Make a statement this summer with this fun sunglasses! 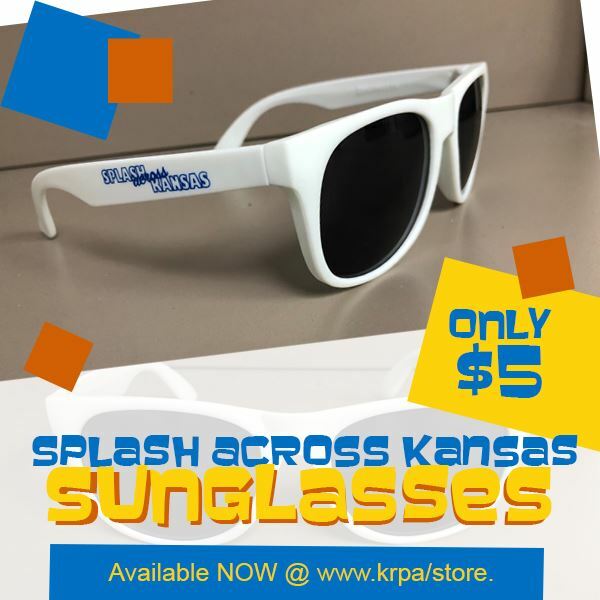 They are a must-have while enjoying some sun at all 17 aquatic parks this summer in the Splash Across Kansas program. Only $5!!! Click here to purchase your pair! See our complete event calendar. The Kansas Recreation and Park Association (KRPA) is a non-profit professional organization representing parks and recreation in Kansas.